Welcome to your local Big R!! 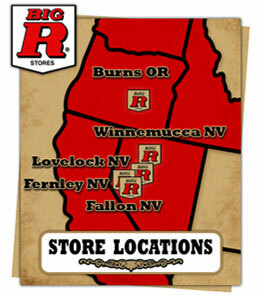 For over 40 years Big R has been committed to bringing RANCH, FARM & HOME SUPPLIES to rural communities in the west. Stop by, and you'll see why we believe in what we do and sell everyday at Big R!! Join us on Facebook to keep up with all of our sales and promotional information! !